Amiloride & Hydrochlorothiazide is a generic medicine. It is a combination product of Amiloride & Hydrochlorothiazide. The product together is used to treat fluid retention (edema) and high blood pressure (Hypertension). When you intake much of salt that contains sodium, the amount of sodium increases in the body. More water is needed by your body to wash the salts from your body. The extra water exerts stress on blood vessels leading to the kidney. Even heart has to work hard for this. Sometimes it may cause to increase the blood pressure to rise. The product is sold in the market in the brand name of Moduretic. Diuretics act on the kidney. How do Amiloride & Hydrochlorothiazide works? 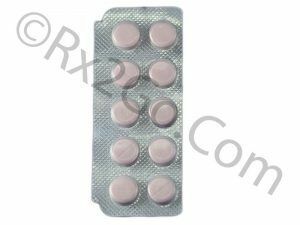 Amiloride belongs to the class of drug known as diuretics (water pills). It conserves the potassium level in the body. Hydrochlorothiazide belongs to the class of drug called as thiazide diuretics. It reduces the blood volume. Amiloride & Hydrochlorothiazide work together by causing the kidneys to get rid of extra salt and water and also helps to treat or prevent low blood potassium levels.. These salts are filtered out of the blood and into the urine. Along with the salt, a lot of water is drawn out of the blood and into the urine. This reduces the volume of fluid in the blood and decreases the blood pressure. What are the uses of the Amiloride & Hydrochlorothiazide? Fluid retention (edema) in liver cirrhosis. Lowering blood pressure helps release workload on the heart. Raise potassium stores in the body. Helps you make more urine and to lose excess water from your body. Amiloride keeps your body from losing too much potassium when urine flow is increased. How to take Amiloride & Hydrochlorothiazide? It is available in the form of tablets of strength 5 mg. Take one tablet one time a day or as prescribed by your Doctor. You can take it with or without food. The dose may be adjusted as per your doctor if needed. What are the precautions in taking Amiloride & Hydrochlorothiazide? If you are allergic to any of the component of the product. If you take some other medications in combination with this product. If you are pregnant or plan to be pregnant. If you have dental or other surgery. Adjust your diet as low sodium and increase the amount of potassium-rich foods. Generic drugs are cheaper than Brand drug. Both of them contain Amiloride & Hydrochlorothiazide as a same active ingredient. They show same effectiveness but differs in their price. Generic drugs don’t spend much on research and development. Cost of generic Amiloride & Hydrochlorothiazide. Cost of 60 tablets of 5mg is $ 25, per unit cost is $ 0.42. Cost of 60 tablets of 5mg $ 48, per unit cost, is $ 0.80.